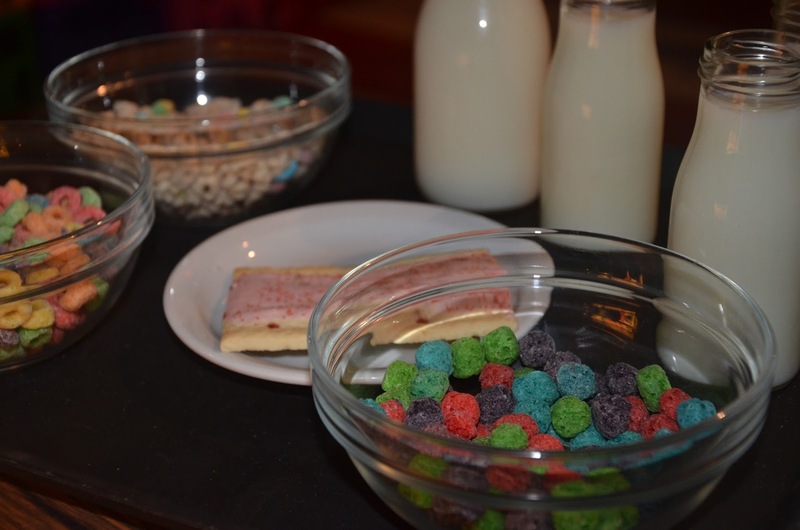 When I first heard about the Cereal Killer Cafe I nearly died of excitement... A cafe that serves cereals and poptarts is basically my idea of a really good time. As an American expat, I am beyond excited anytime I can get my hands on little treats that remind me of home, but aren't easily found here in London. It only made sense that I would celebrate my 35th birthday with a dinner consisting of my favorite childhood cereals and a poptart for dessert... Yum! My husband and I rushed out of work on a Thursday, eager to reach the Camden location before the 7pm closing. We arrived at 6:30 only to find that they had just closed early in preparation for a private event. It needs to be said that I went in begging, sweating, telling them how far I'd come, that I'd gladly take my Apple Jacks to go and that it was my birthday... Luckily they took pity on me and let us in. Phew! The staff are super fun, very nice and they're in the business of saving birthdays from ending in complete disappointment - so basically they're super heroes (someone should give them capes)! 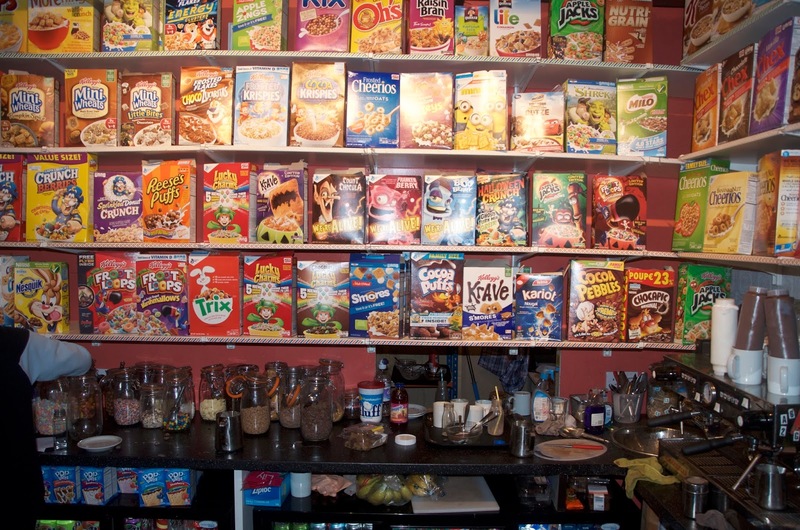 When it comes to the cereal choices, if you can imagine it, you'll find it at Cereal Killer Cafe. Cereal boxes from all over the world line the shelves and there are a range of toppings to choose from. 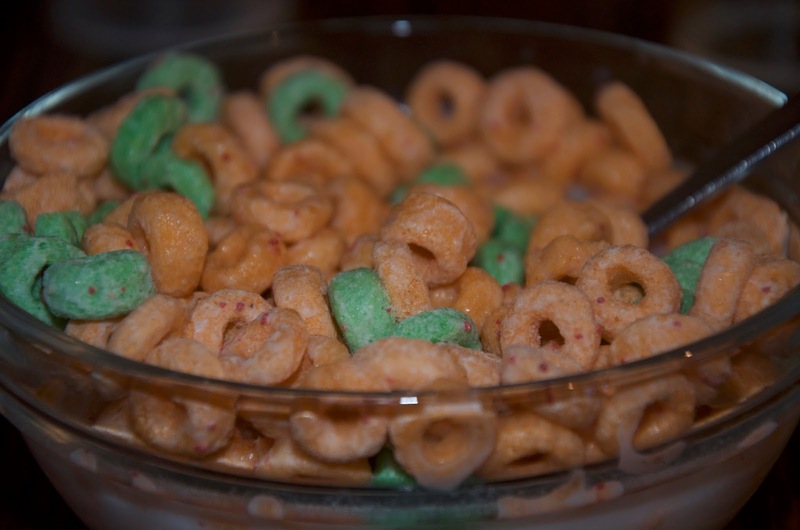 They also offer cereal cocktails, mixing multiple cereals together for a specific flavor. Cold and hot drinks are on offer as well in this fabulous little cafe that's open all day... That's right kids, cereal isn't just for breakfast anymore in London! 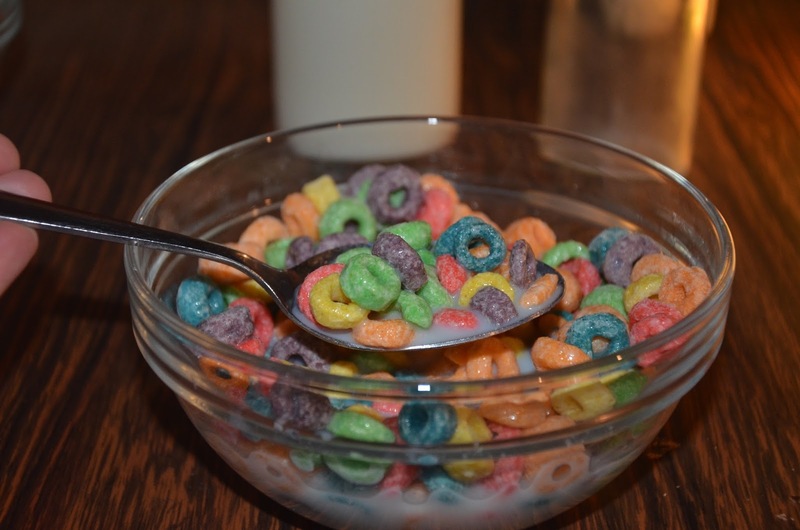 For my grand feast, I decided on a medium bowl of Froot Loops as a starter, a large bowl of Apple Jacks as a main course and a cherry frosted Poptart for dessert. It was heaven on earth! Each bowl of cereal includes a choice of whole, semi-skimmed or skimmed milk. Should those options not work for you, there's a rather long list of premium milks that are available for an extra 40p including soya, almond, rice and lactose free options alongside some rather interesting and more fun choices like banana and cinnamon. The cafe itself can only be described as a time warp to the 80's... It gave me total Goonies vibes with Garbage Pale Kids stickers (raise your hand if you remember those!) and Cabage Patch Kids lurking around. A wall of vintage cereal boxes really takes you back and I found a few I only vaguely remember seeing during my childhood, specifically KISS Crunch, Gremlins, Barbie and Strawberry Shortcake. With twin beds dotted around and light fixtures made to look like the cereal bowls that used to come free with a box of cereal, it's hard not to feel like a kid again at the Cereal Killer Cafe. The icing on the poptart... SPICE GIRLS WALLPAPER!!! Zig-a-zig-ahhhhh! Quite possibly the best thing about a visit to the Cereal Killer Cafe is the sugar high that occurs after the meal. It's impossible to go and have just one cereal, so be prepared to be all silly when you leave, hyper and giggly with high fructose corn syrup pumping through your veins. That is of course unless you're one of the boring people who goes to an amazing place like this just to have the gluten-free cornflakes, which they totally have by the way... They have EVERYTHING! 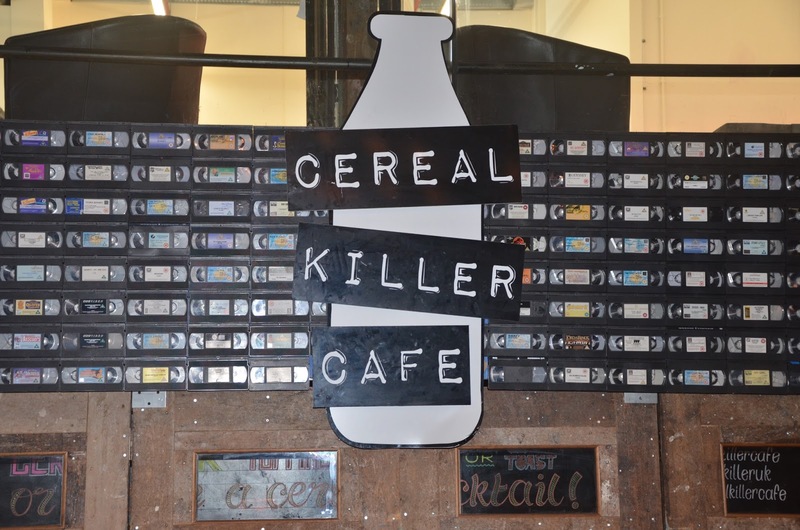 There are two Cereal Killer Cafe locations in Camden and Brick Lane. For more information, to view the menu, to buy the Cereal Killer Cafe Cookbook and other cereal themed goodies or to make a booking, visit www.cerealkillercafe.co.uk.